SACRAMENTO, Calif. /California Newswire/ — Calif. Senate Bill 360 authored by Senator Alex Padilla (D-Pacoima) was signed by Governor Brown over the weekend. The new law, which becomes effective on January 1, 2014, allows county election officials to develop, own and operate public voting systems, subject to approval and certification by the California Secretary of State. SB 360 requires that the Secretary of State adopt and publish voting system standards and regulations governing the use of voting systems and requires that these standards meet or exceed federal voluntary voting system guidelines set forth by the United States Elections Assistance Commission. The bill also establishes modern techniques, known as risk-limiting audits, to verify the accuracy of voting technology. “This new law will allow counties to develop, own and operate voting systems which meet their unique needs. Because all aspects of these public voting systems must meet rigorous standards and will be open to public inspection and review, it will strengthen voter confidence in our elections,” said Senator Alex Padilla. “This bill puts California out front in pursuing expanded options for modernizing voting systems while preserving and codifying some of the highest standards for security and testing in the country. It provides the legal framework needed for L.A. County to pursue improvements to the voting experience and replacement of our aging voting equipment,” said Dean Logan, Registrar-Recorder/County Clerk of Los Angeles County. Most California counties purchase their voting systems from one of five private vendors. The vendors offer a variety of systems and upgrades which has resulted in a patchwork of technologies throughout our state. The private vendors consider their technology proprietary and limit public access to both the operating software and hardware. State election officials and the public have been completely dependent upon these companies, who are under no legal obligation to notify federal election officials or the public when their voting systems malfunction, have vulnerabilities or defects. In 2009, the Los Angeles County Registrar/County Clerk launched the Voting Systems Assessment Project (VSAP) with the goal of replacing its 30-year-old system. With 10 million residents and more than 500 political districts spanning an area of 4,000 square miles, Los Angeles County is perhaps the most complex electoral region in the nation. After concluding that private vendors could not meet the unique needs of Los Angeles County, officials decided to develop their own system. Senate Bill 360 will enable county elections officials to develop their own public voting systems and submit them for consideration by the California Secretary of State. “Who better to develop a new voting system than the election officials we trust to conduct our elections,” added Padilla. 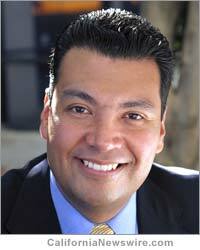 Senator Alex Padilla, 40, graduated from MIT with a degree in Mechanical Engineering. He currently serves on the Board of MIT and is President of the National Association of Latino Elected and Appointed Officials. He is Chair of the Senate Energy, Utilities and Communications Committee and represents the more than 1,100,000 residents of the 20th State Senate District in Los Angeles.